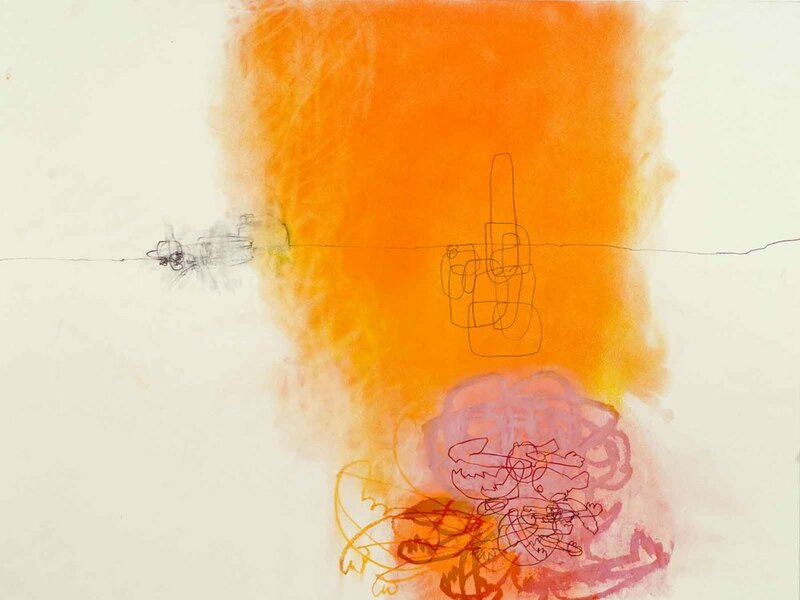 The Museum of Contemporary Art of Georgia (MOCA GA) announces the opening reception for Thirty Years on Paper, a retrospective of drawings by Rocío Rodríguez. The opening and exhibition will take place in the upper level galleries at MOCA GA. Exhibition dates are February 9, 2019 – April 6, 2019. The opening reception will be on Friday, February 8, 2019 from 6:30 - 8:30 pm. Rocío Rodríguez attended the University of Georgia where she received her BFA and MFA degrees in Drawing and Painting. Rodríguez is a recent recipient of one of the Anonymous Was a Woman 2018 Award, an Artadia Atlanta 2011 Award, a Cintas Fellowship, an Affiliated Fellowship Award at the American Academy of Art in Rome AFAAR, Italy and two SAF/NEA Fellowships. Most recently she had solo exhibitions at Kathryn Markel Fine Arts, NYC, Sandler Hudson Gallery in Atlanta, and the Huntsville Museum of Art in Alabama. In 2014 she was awarded an Artist Residency at Marfa Contemporary in Marfa, Texas. She has participated in exhibitions at the Mobile Museum of Art, the High Museum of Art, and The Museum of Contemporary Art Georgia. She had a retrospective exhibition at the Columbus Museum of Art, in Columbus, Ga. Her work has been featured in two books; Out of the Rubble and NOPLACENESS: Art in a Post-Urban Landscape. Rodriguez’s work can be found in numerous national public and private art collections, including MOCA GA’s permanent collection. Linda and James Alexander, Maria Artemis, glo Atl, Marcia R. Cohen, Leslie Colvin, Thomas Deans, Ariel Jones, Paul Light, Katherine Mitchell, Lainey Papageorge, Mario and Susan Petrirena, Scott Pope, Antonia C. Rodriguez, Constance Saddlemire, Rob Smulian, Elizabeth Solway, Roman Boychuk, Robert Web and many others who remain anonymous. Thank you to The Judith Alexander Foundation for supporting this exhibition. The Museum of Contemporary Art of Georgia (MOCA GA) collects and archives significant, contemporary works by the artists of the state of Georgia. To place its artists in a broader context, the Museum's exhibitions include Georgia artists and artists from around the world. MOCA GA’s programs promote the visual arts by creating a forum for active interchange between artists and the community. MOCA GA is located at 75 Bennett Street in the MOCA GA / TULA Art Complex. Admission is free to members, Veterans and US Military with ID, $8 for non-members and $5 for students and seniors (65+). For more information, call 404-367-8700, visit www.mocaga.org or email info@mocaga.org. MOCA GA is open to the public Tuesday – Saturday, 11 am - 5 pm, closed Sunday and Monday. artGuidemag is the top Georgia gallery guide and art guide for art galleries in Georgia. With a comprehensive, top Atlanta gallery guide and Atlanta art gallery directory, Atlanta art lovers will find no shortage of Atlanta art, Atlanta art galleries, as well as art museums in Atlanta. Be sure to use the top list of art galleries in Atlanta.